What is a Wireless Internet Router? A router is a small electronic device that connects to your internet modem to transfer internet connectivity via WIFI to your electronic devices such as laptops, smart tvs, cell phones, wireless printers, ect. 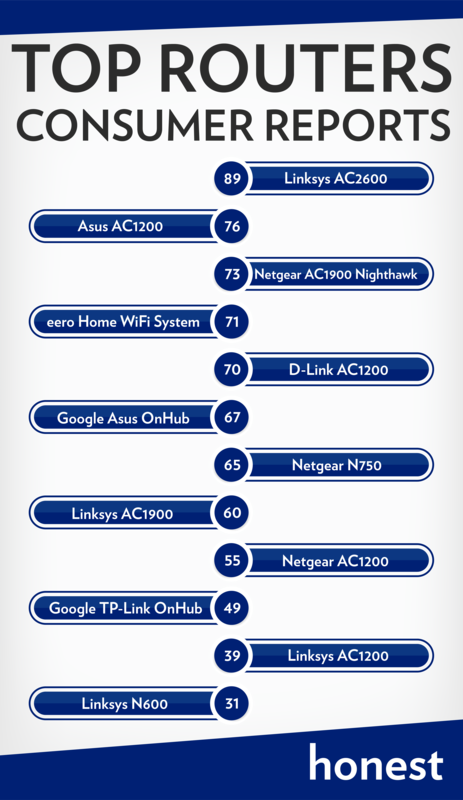 Here is a complete list of Consumer Reviews top rated Wireless Routers – update – 2018. Honest Review is a global community-driven review platform designed to provide consumers a place to share their honest opinions.